Where is Ben? : Aloha, from Oahu! This week, I'm checking in from the Hawaiian Island of Oahu! We flew here after moving the bus back to Las Vegas, where it will stay while we're on the islands. The main reason for my visit here was to teach a two-day course at the University of Hawaii for Pacific New Media. Karen and I are even staying right on the campus, which is less than 10 minutes from Waikiki and downtown Honolulu. On the day we arrived, we landed around noon and immediately went to pick up our rental car, which happened to be a lime green Volkswagen Beetle. Karen really got a kick out of this. Since I was starving, I did a Yelp search for a nearby food place that was fast and had good reviews. What I came up with was Helena's Hawaiian Food. It not only had amazing ratings, but we later learned that it had been featured on some food-related TV shows. The place was small and very "no-frills," but it is a local gem, for sure. Everything on the menu is very Hawaiian, and there was a line out the door to get a table. We took our food to go and ate in the car at a parking locale that overlooked the city of Honolulu. Not a bad intro to our stay in Hawaii! After lunch, we explored the eastern side of the island for a bit and then checked in at the hall we would be staying at on campus. For our first evening, we went down to Waikiki for drinks and dinner. I first did a Yelp search for local happy hours and found a place with wonderful reviews called Bacchus. It was supposed to be a wine bar. When we arrived, we thought it was a little odd that there wasn't much of a wine selection, and the music was louder than we're used to for a wine bar. This didn't bother us too much though. It was a fun place and the bartender was really friendly. I went up to get drinks while Karen got a table. When I got back to our table, Karen gave me a funny look, leaned in, and politely informed me that I had taken her to a gay bar and she was the only female in the place. When I looked around, I noticed that the place was full of very "affectionate" guys. Now gay bars don't bother us one bit, but the fact that this was totally unintentional on my part made the first part of our night VERY amusing. After leaving Bacchus, we walked around for a bit in the downtown Waikiki shopping area and then eventually ended up at the Hula Grill for dinner. There was live Hawaiian music, our table was on a terrace that overlooked the beach, and the food was amazing. Karen got this shot at the Pipeline surf break on the North Shore of Oahu. On our second day, we decided to drive around the island, starting in Honolulu and heading up counter-clockwise. We first stopped at the easternmost point, Makapu'u, where we hiked to the lighthouse there. It was a good workout, and the route was scenic. Part of the walk overlooked a sanctuary for humpback whales where you could easily see dozens of spouts and tail fins. When we got back to the car, we continued the drive, stopping at any place that looked interesting. We spent a good amount of time on the North Shore, stopping at many of the popular beaches up there. This place is a surfer's paradise, for sure. Karen really wanted to find the famous Pipeline break, which could possibly be the most famous surfing spot in the world. (We didn't see it that day, but she eventually found it when she returned alone during a day I was teaching) We stopped for dinner in Hle'iwa, a town on the western side of the island, where we had some excellent curry food. By the time we got back to the university, we were both pretty beat. 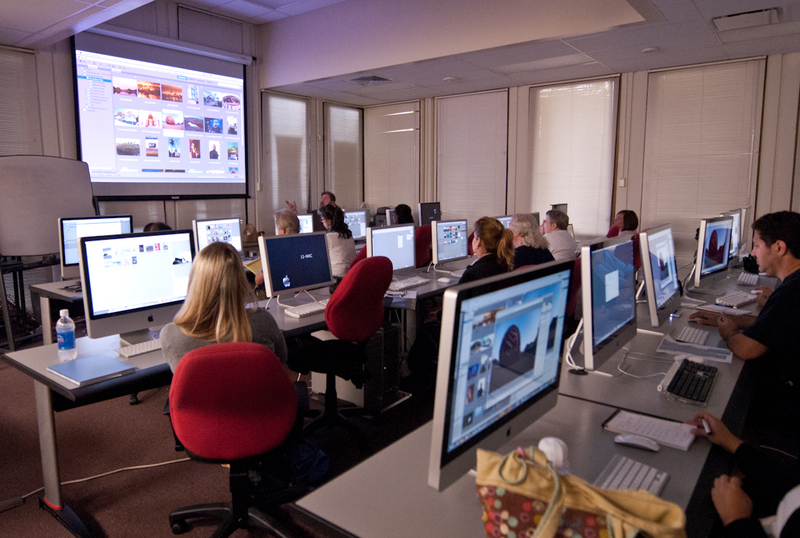 On Saturday and Sunday, I taught my two-day class called Photoshop Mastery on the University's campus. Both days went really well, and I think the students got a lot out of it. 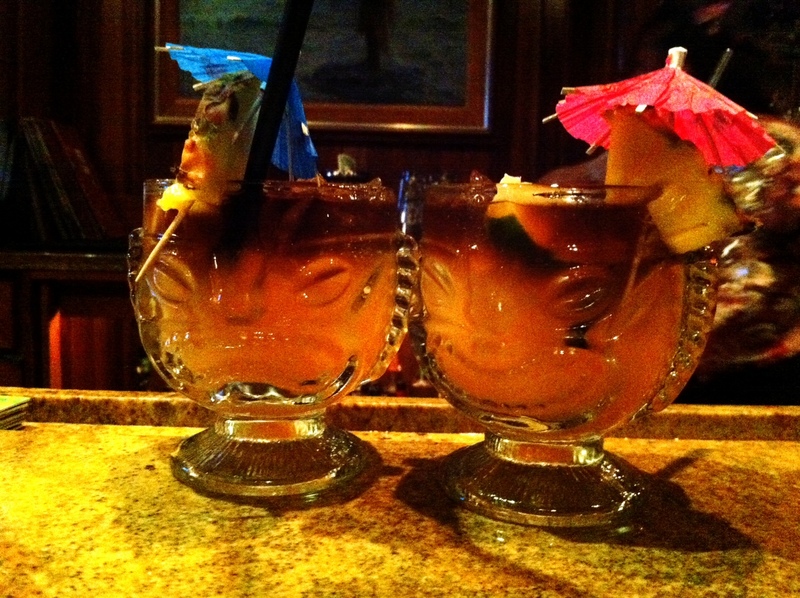 On Saturday night, Karen and I went back to Waikiki for a night on the town. We started off with a happy hour in a rotating bar that overlooked the city and the ocean. What's funny is that we didn't realize that the place was rotating until at least 15 minutes after we arrived! For dinner, we went to a place called the Genius Lounge, which also had amazing ratings on Yelp. We got a table outside and the food was both delicious and unique. I had Pumpkin and Bacon along with breaded deep fried hamburger on rice topped with a fried egg and Demi glacé sauce. Karen, of course, had two salads. We always like going to places with interesting menu items. On our way back to the car, we noticed a lot of activity in Peter Lik's photography gallery, so we decided to stop in and see what was going on. It turns out, there was an open event going on where servers were handing out wine and appetizers. Nice way to end the night! We have one more day before we leave Oahu and move on to Maui. I will be teaching another two-day class there and I also have some great friends to visit on the island. More to come!